Former national tree surveys had recorded this tree as the second largest specimen in New Zealand. 'The second biggest Angophora in New Zealand'. Ref. Burstall SW & Sale EV. 'Great Trees of New Zealand' 1984; p.188 & plate 9. The largest of this species was formerly known to be a tree at Mapua, Nelson. Investigations have established that the early measurements included a multiple of stems (7) that had been contained within the girth recorded for this tree. It therefore was not a single stem. 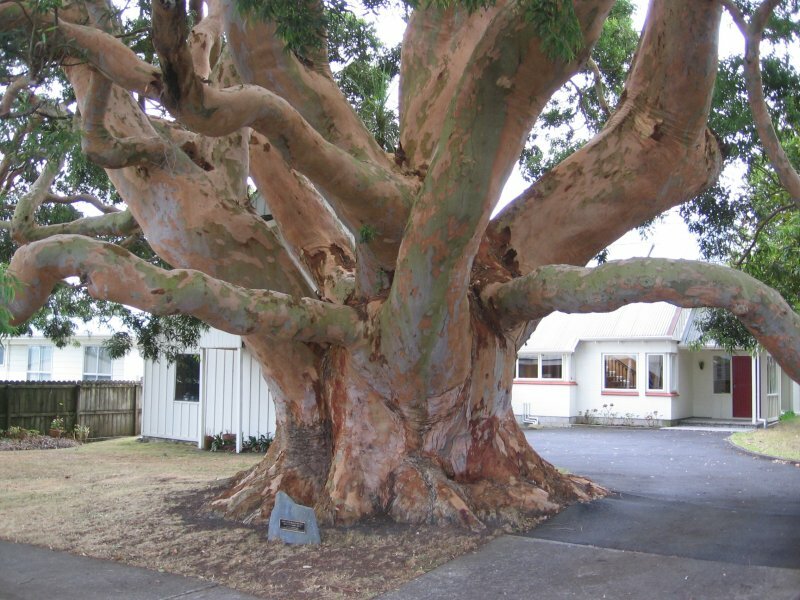 The Hobsonville tree can safely be considered the largest Angophora in New Zealand and may potentially be the largest living specimen in the world. The largest recorded tree was 10m in girth (measured at the base). This tree, which died in 1933, was located in Angophora Reserve near Avalon in NSW. 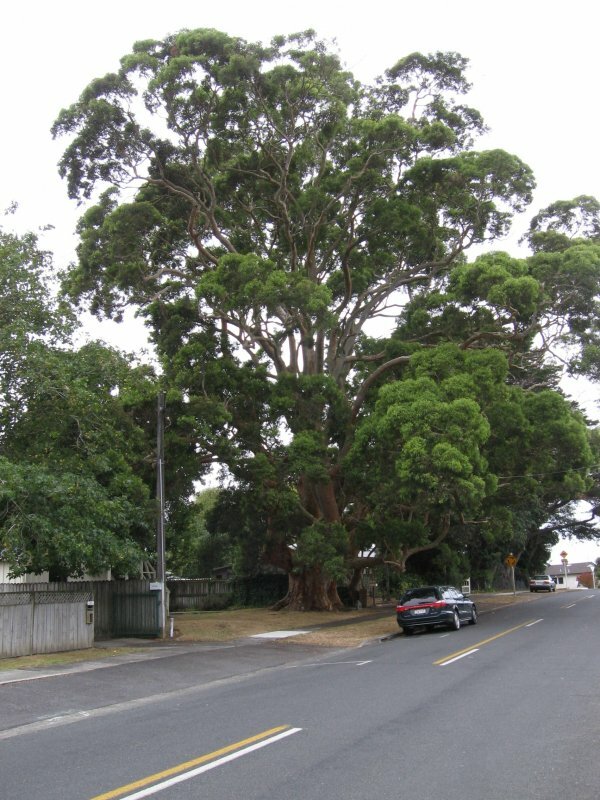 No other known trees exist that are the size of the Hobsonville tree (Cadwallader BG, April 2010). The Hobsonville tree was included in the (former) Waitemata City Council's District Scheme tree schedule' (Donaldson 1988). It is now covered on the Waitakere City Council tree schedule. A plaque at the base of the tree suggests that Govenor Grey planted the tree. Taken below the branch flare at the waist. A typical open grown specimen. 01 Jan 1988 Donaldson, G.R. On the frontage and quite visible from the street.